In VBA, you can create an Option button to enable a user to choose from several option. An Option button is often used in Userforms, but can also be used in a Worksheet. 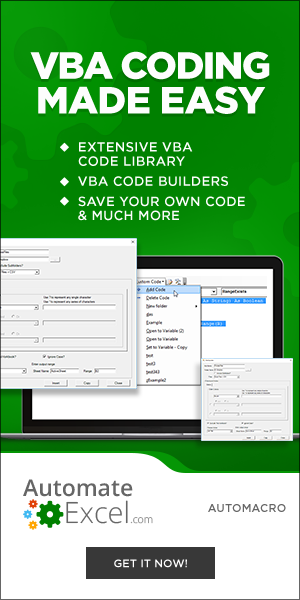 In this tutorial, you will learn how to create an Option button, get a user choice in VBA and use it in code. Here you can set different properties of the Option button. For the beginning, we changed the attribute Name to optOptionButton1. Now, we can use the Option button with this name in VBA code. Also, we changed the text which appears next to the Option button to Male. To do this, you need to set the attribute Caption. The purpose of an Option button is to get a users decision. We will show in the example how to write Male in the cell C3 if the Option button 1 is chosen or Female if the second one is chosen. Every Option button has its event which triggers when its chosen – Click. The value of the Option button is in the Value attribute of the object optOptionButton1 or optOptionButton2. The value of the Option button can be true if it is chosen or false if it’s not chosen. As you can see in Image 3, we clicked on the first Option button. Therefore, the value of Sheet1.optOptionButton1.Value is true, so the result in C3 is Male. Similarly to the previous example, the value of C3 is changed to Female, as we have chosen the second Option button. In this case, the procedure optOptionButton2_Click() is triggered. If you want to get a selected Option button, you need to use the same logic as for a Worksheet, which is explained earlier in the article.